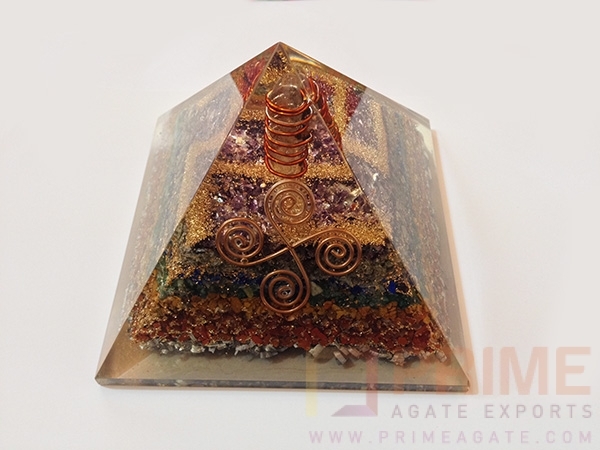 Excellence & Powerful Orgone Pyramid With Stones utilized are Amethyst, Lapis Lazuli, Blue Aventurine, Green Mica, Yellow Jasper, Carnelian and Red Jasper, aluminium, copper & Copper Coil. 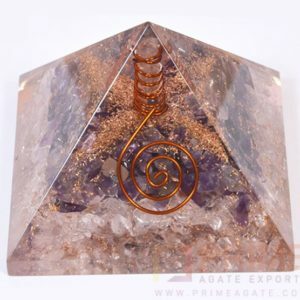 Mineralogy:-dark violet crystal quartz (trigonal, primary). 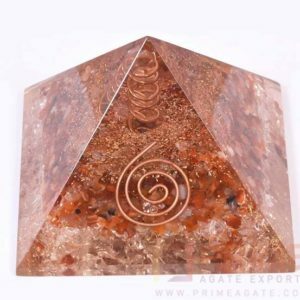 Spirit or Spiritual Aspect:-alertness, justice, inner peace. Soul or the Subconscious:-helps overcome grief and losses. Mind or Mental Aspects:-awareness, sense of judgement, constructive thinking and acting. Body or Physical Aspect:-good for the skin; alleviates pain, tension and lowers high blood pressure. 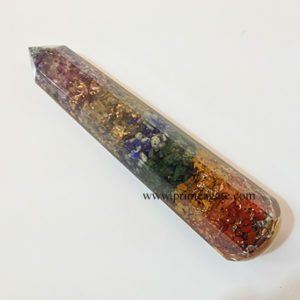 Mineralogy:-lasurite rock (lasurite: lattice silicate, cubic, tertiary). Soul or the Subconscious:-promotes honesty, dignity, friendship and Sociability. Mind or Mental Aspects:-helps tell and accept the truth. Body or Physical Aspect:-helps with problems of the throat, larynx, vocal cords, nerves and brain; regulates the thyroid glands. 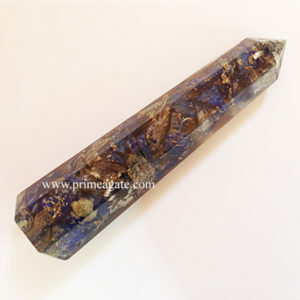 Mineralogy:-blue glittering quartz cont. 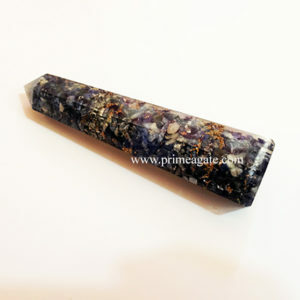 dumortierite (trig., primary). Soul or the Subconscious:-calms, relaxes, relieves nervousness. Body or Physical Aspect:-ameliorates pain and chronic stiffness; has a cooling effect and reduces fever. Mineralogy:-alkaline copper carbonate (monoclinic, secondary). 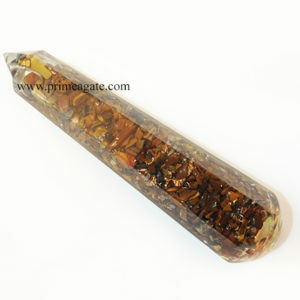 Spirit or Spiritual Aspect:-promotes adventurous intensive life. Soul or the Subconscious:-deepens emotional life, helps with sexual difficulties. Mind or Mental Aspects:-promotes power of imagination and decision. Body or Physical Aspect:-stimulates the brain, nerves and liver, detoxifies and helps with rheumatism, cramps and menstrual pains. 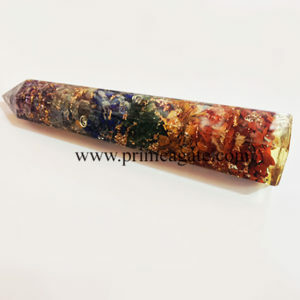 Mineralogy:-jasper containing limonite (quartz, trigonal, secondary). Soul or the Subconscious:-promotes perseverance and tenacity. Mind or Mental Aspects:-helps digest experiences and bear frustrating experiences. Body or Physical Aspect:-builds up a stable long-term immune protection; aids digestion; purifies and firms up the connective tissues. 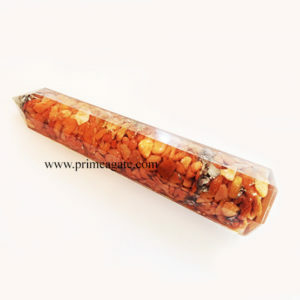 Mineralogy:-carnelian-coloured agate (quartz, trigonal, primary). Spirit or Spiritual Aspect:-stimulates, motivates. Soul or the Subconscious:-helps overcome difficulties and energetically defend a cause. Mind or Mental Aspects:-enhances receptivity. Body or Physical Aspect:-stimulates assimilation of vitamins, nutrients and minerals in the small intestine; improves blood viscosity. 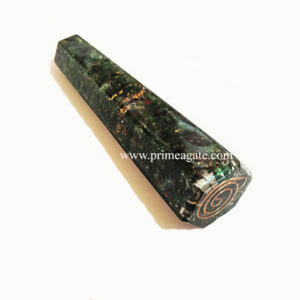 Mineralogy:-jasper containing hematite (quartz, trigonal, secondary). Soul or the Subconscious:-makes courageous, dynamic; gives Energy. 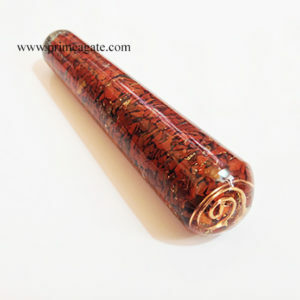 Mind or Mental Aspects:-gives courage for unpleasant tasks and makes spiritually Alert. Body or Physical Aspect:-warms and enlivens; enhances blood flow, stimulates blood circulation and has a fever-enhancing effect (when necessary). However, the Metaphysical Properties and Healing Qualities will be excellent.